I know the calendar says Halloween, but our Holiday Open House is coming up, so Christmas is very much on our minds around here! I love the cotton branches that are so popular right now and decided to incorporate them into a few holiday wreaths this year. 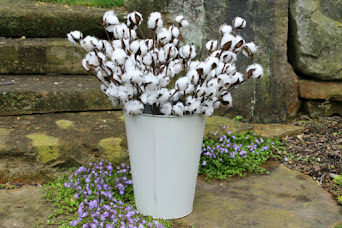 The cotton stems are sturdy and really easy to work with. And I love the contrast of soft and rustic. They look a bit like snowballs, don't you think? Cotton branches will definitely be a part of my holiday décor this year! If you've been here before, you know I love making wreaths. Whatever the season, they are a tag sale staple. Here's a peek at a few more that will be available next weekend. I'll be back next week with a preview of our Holiday Open House. And since it's Halloween, I'll leave you with my favorite little trick-or-treater. She's very good at flapping her wings! Hope you all have a hauntingly good weekend! That is one cute owl! She is adorable. 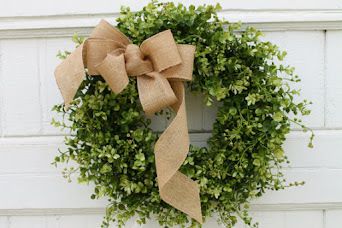 Love your wreaths,,,the cotton ball-thingies are a great addition! 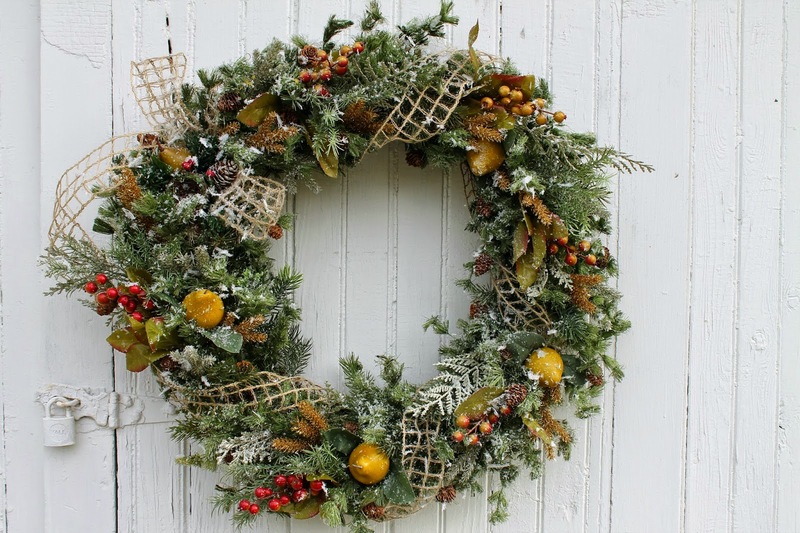 I look so forward to your Holiday wreath making post every year! Yay! The new cotton addition is perfect! And that little trick or treater is absolutely precious! What BEAUTIFUL eyes she has! Happy Halloween, Sharon! oh she's so stinkin adorable!!!! love it! 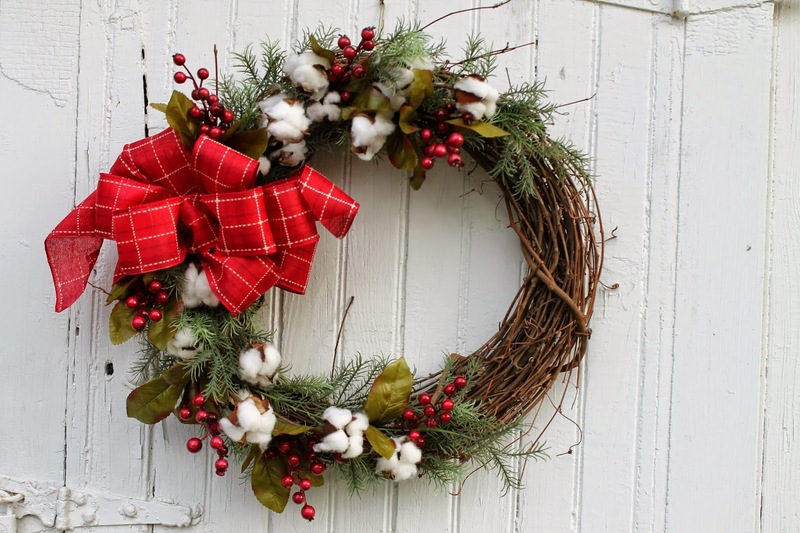 and i love the cotton wreaths- so fun! 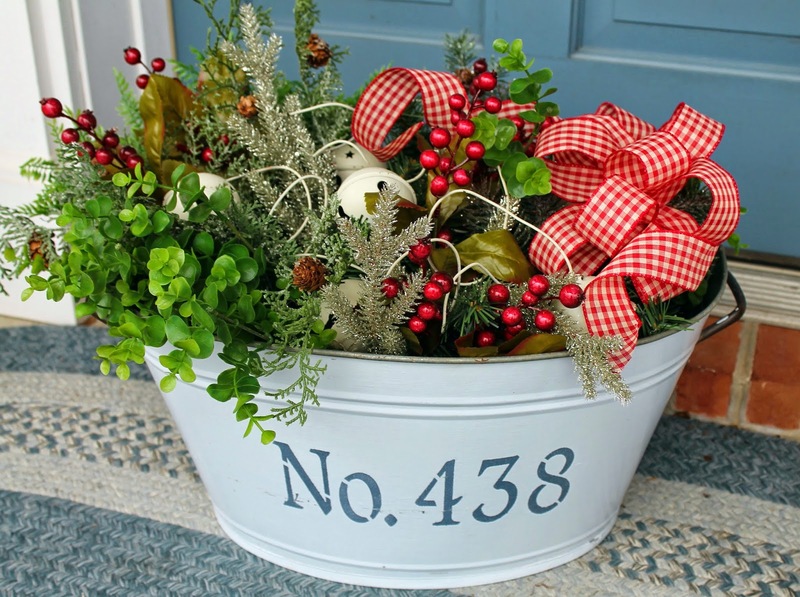 Love your wreaths and the bucket. I would love any of them for my home! Lets not forget that cute little owl too! Precious! Oh my, what a cute little wing flapper! Miss B is going to be a pumpkin and I'm looking forwarding to seeing her all dressed up! 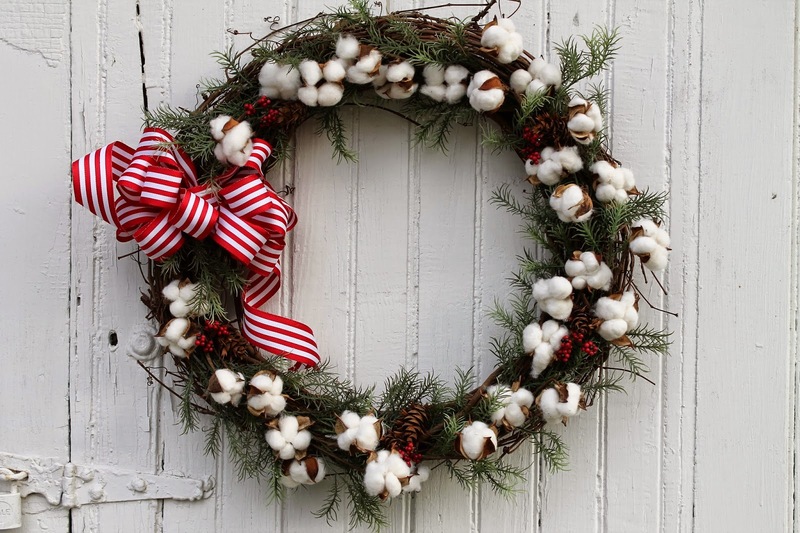 The wreaths with the cotton are amazing! Your granddaughter is such a cutie! Cutest photo of Clare ever! She's so adorable! Your Christmas wreaths are gorgeous, Sharon. I'm loving that cotton! 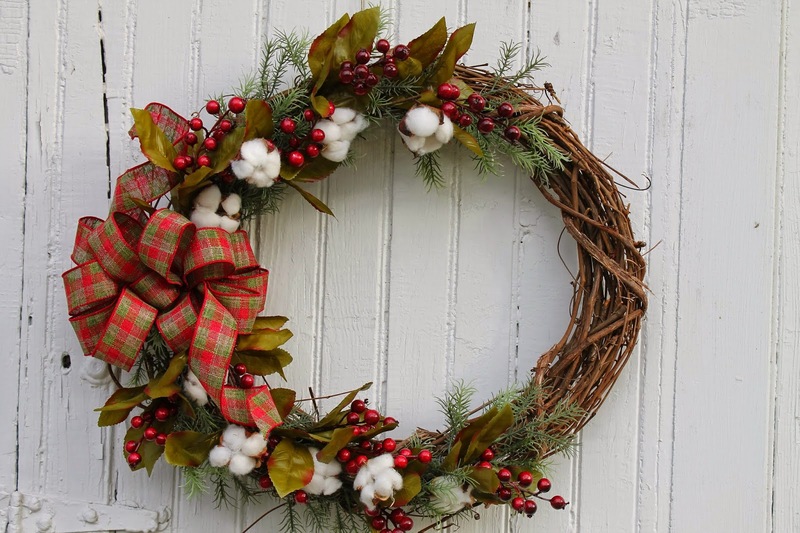 Love your wreaths, but my favorite is the one with the cotton twigs. Your granddaughter sure is growing up fast. She is so adorable. 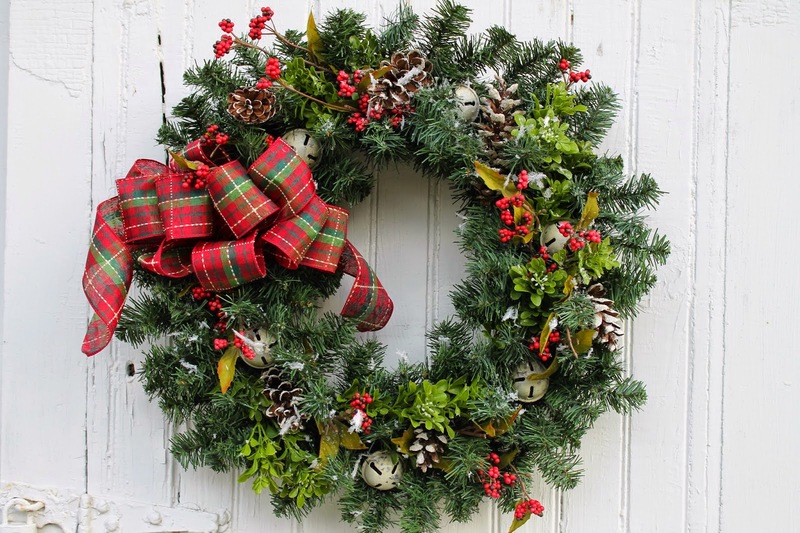 Love all your wreaths ! 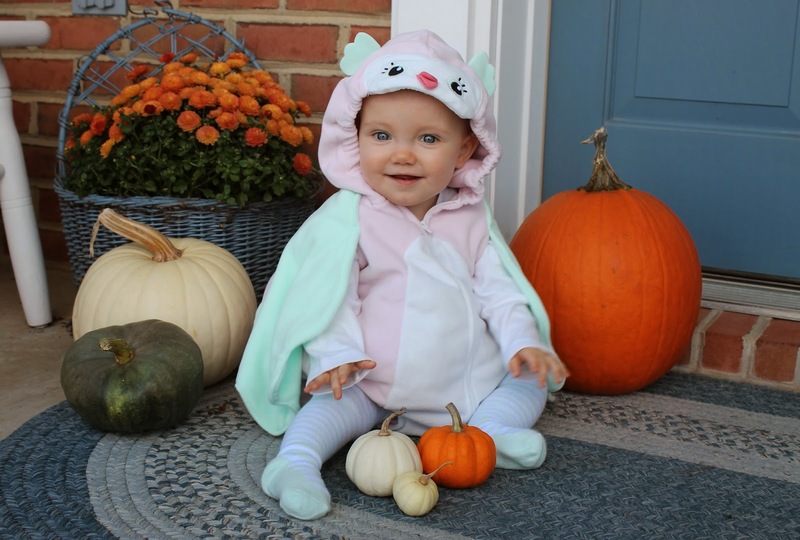 The cotton is fabulous in them ..going to have to find some :) Such a sweet photo of your trick or treater ! O dear, she is soo cute!! Love all your wreaths Sharon! Adorable little owl! I just am in love with these wreaths. I need to give it a try. My girls and I will get to work next weekend! Thanks for the inspiration! 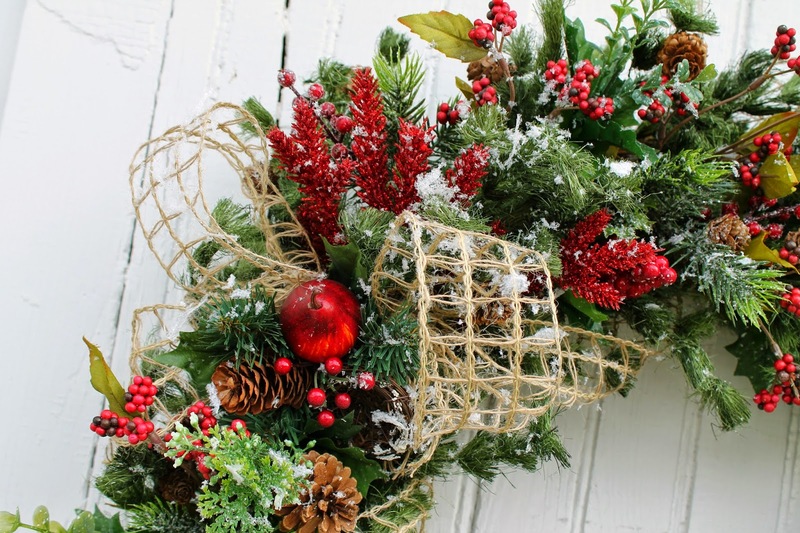 Your wreath is beautiful! As is your darling granddaughter!! So cute! little ones make EVERY holiday more special! She's a keeper for sure! so precious! I always love looking at your wreaths, you do such a great job Sharon!